This article is the third in a series (See Hack Tips: Blackberry Enterprise Server and Hack Tips: Good For Enterprise) covering, step-by-step, practical post-exploitation tips that can be used to get the most out of various common network servers. This week’s victim is CiscoWorks. Compromising this server allows the attacker to remotely control network devices and dump all device configurations. 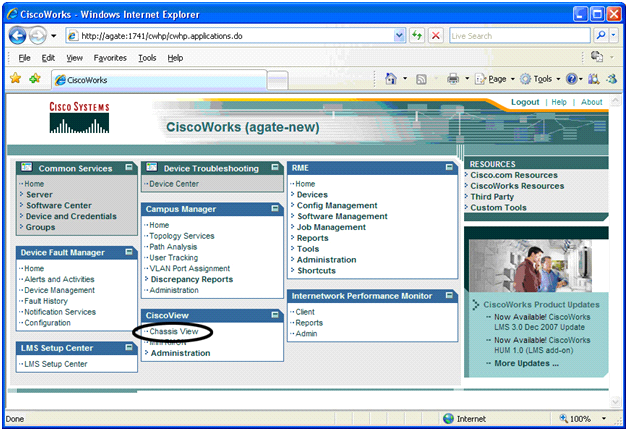 Even though CiscoWorks is End of Life (EOL)--replaced by Cisco Prime Infrastructure (CPI), we still see this management product present in many environments--thus is it still useful to know how to get the goods from Works. Data mine the Cisco works box for .bat and .txt files that contain plaintext credentials. This is surprisingly successful, network engineers are usually responsible for managing Ciscoworks and they are notorious for being security ignorant. We recently found a test .bat file that was using ut.exe (a Ciscoworks tool) that disclosed the Cisco Works credentials in plain-text. Next we'll take a look out how we can interact with Ciscoworks and pull data from it. The Ciscoworks command line application (cwcli.exe) have tons of options, including remotely running commands on devices! This could be very useful for an attacker, just use it with caution, because it could really get you into trouble if you don't know what you're doing! Running cwclie.exe is more or less straightforward, but you'll definitely have to check out the -help for all features. One note worthy feature of cwclie.exe is its ability to dump device configurations from the command line! If you had an unlimited amount of time, you could obtain every config from every device on the network. Here's how to tell cwclie.exe to grab those configs. The % character is a wild card when using cwclie.exe. Using this, you could potentially dump all configuration from all Ciscoworks-managed devices! Just note that this could take a really long time on a large network. Also, its probably worth while for us to note that as a general best practice, system administrators should never use the -p option and specify the password on the command line -- this includes within scripts. 12/25/2011  06:40 PM    <DIR>          . 12/25/2011  06:40 PM    <DIR>          ..